Here is just a handful of some cars we have worked on. This area will be updated quite often. 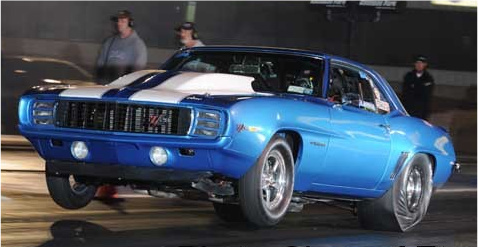 Junior's "No Time" '69 Camaro - We did a full body and paint job and fabricated mounts/brackets for all the fiberglass components. 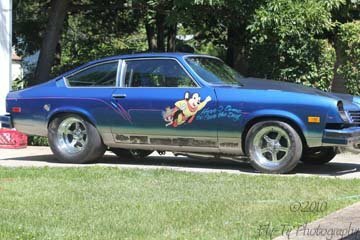 Mike Natoli's '71 Duster - This car tagged the wall back in 2001, and we sectioned the whole back end off a donor car on to this one. Powered by a steel headed 340 with a flat tappet cam, it seems to work! 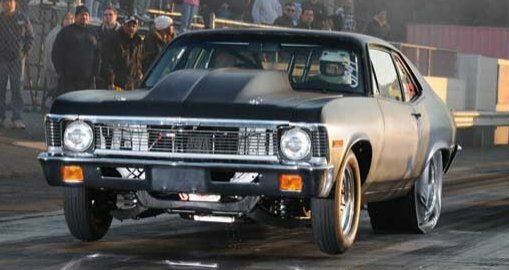 Joe "Easy Money" Condon's '70 Nova - Joe bought this car new, and after years and years of racing it he decided it was time for a diet and some fresh paint. 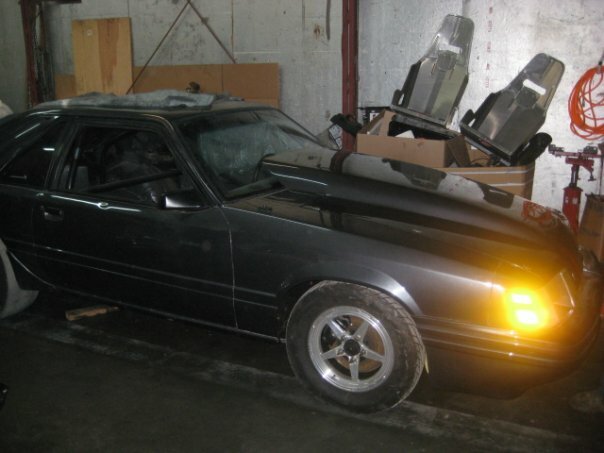 We fitted it up with some VFN fiberglass, stretched the quarters, and repainted the whole car. Ryan Roberts' '87 Monte Carlo - Super Street racer Ryan Roberts brought his car down for a fresh coat of black, and we lightened up the nose by removing all the inner supports; apparently it works. 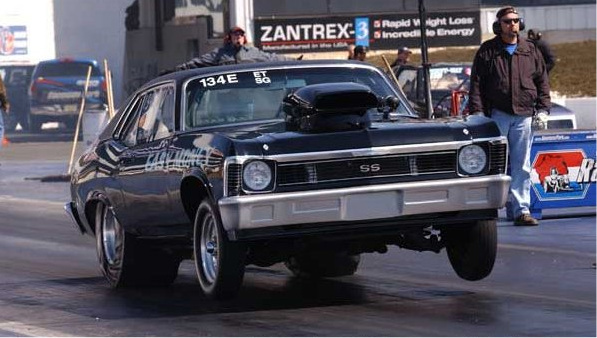 Sal Kazalski Jr's '70 Nova - Sal, son of engine builder Big Sal of Big Sal's Race Engines, bought this car in 100% pure stock form. Since then, it's been completely modified, backhalved, full cage, etc. We stretched the quarters, painted the frame/cage, and will soon paint it the original color Mist Green. 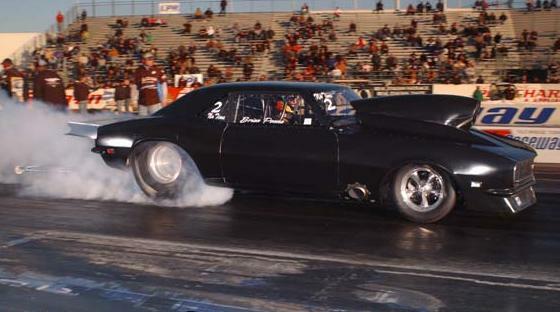 Brian Penna's '68 Camaro - Full body and paint, including flat "hot rod" black paint. Although not pictured above, the car also now has a RS stripe across the front. Joe Alagna's '69 Camaro - Staria's Transmissions own Joe Alagna brought his car down for some custom fiberglass fabrications to his hood. After we made his 4" cowl a 6" cowl, we matched the colors up and gave it a fresh coat of paint. We just finished up Rob Meadows' SVO Mustang. The hood fits awesome and the Moroso dzus fasteners give it a tough look, as well as keep the hood from taking flight. We were able to match the paint without issue and it came out great. 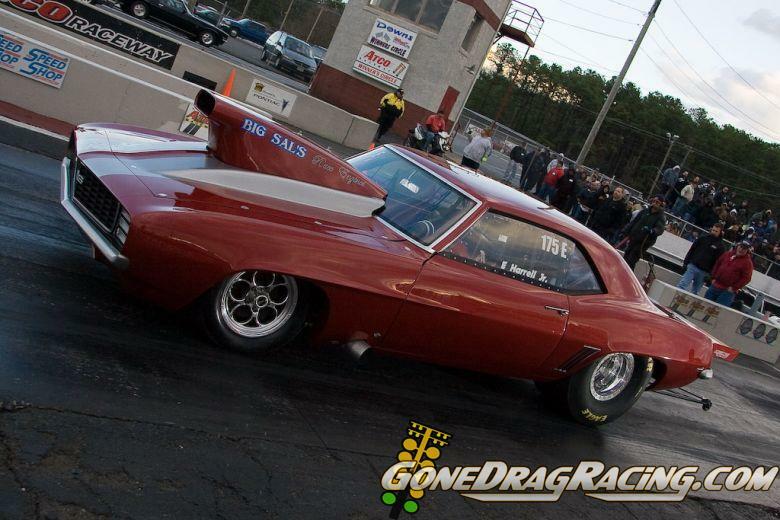 Anthony Cruciata brought us his '78 Malibu aka "Leroy Brown" for an anti-roll bar installation. We used a DM Products kit and TIG welded everything, and it seems to work very well. 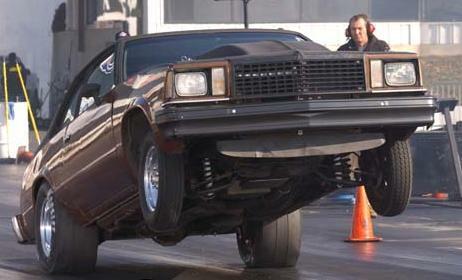 This car used to twist up real bad, but we straightened it out. 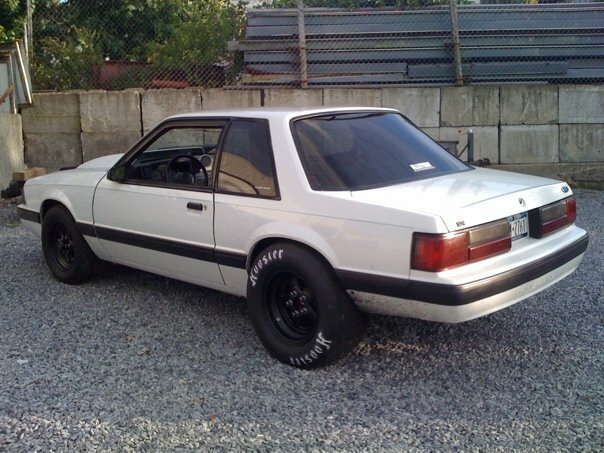 Steve Reis' notchback Mustang came to us originally for a set of chromoly sub frame connectors. After that job was complete, it later came back for a 10pt chromoly cage as well. Dominick's Nova ready for delivery. 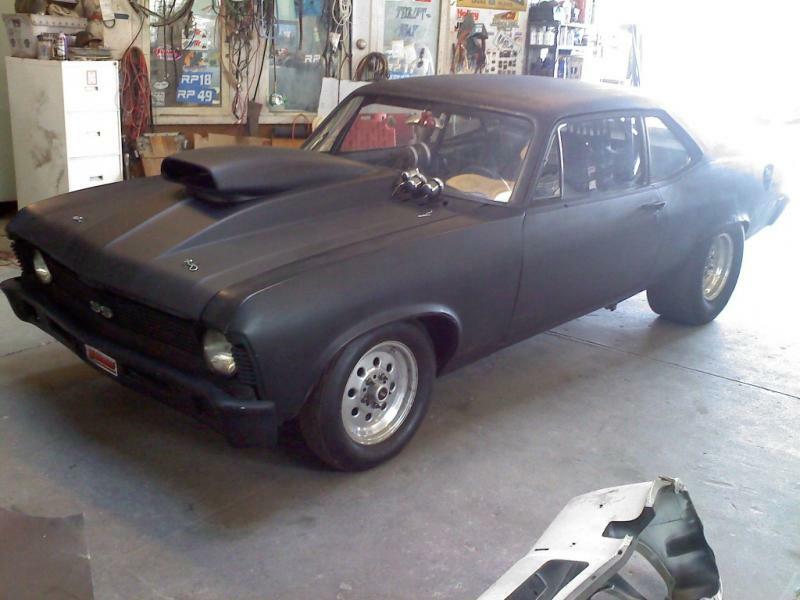 Not mentioned in the chassis section, we also molded the scoop into his pre-existing cowl hood. Since it's left, Dom has upgraded the wheels as well as the brakes and wiring and is now race ready. 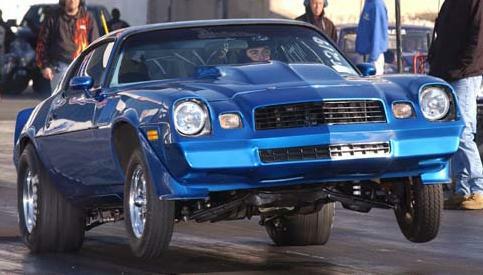 Brian Penna's Outlaw 10.5 '68 Camaro - This car also had fiberglass components hung on it, and recieved a full body and paint job. 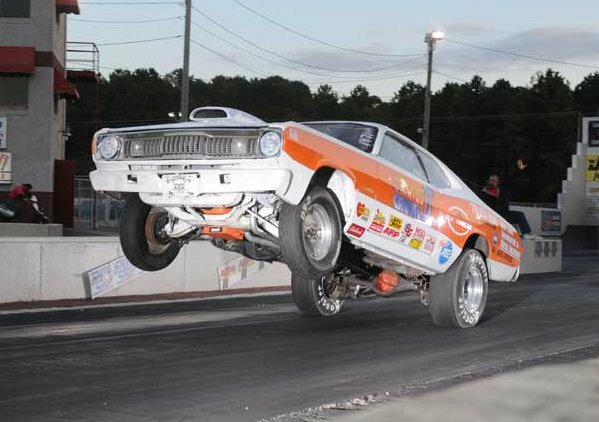 Anthony Natoli's '73 Duster - This is Anthony's first car, and after several successful years bracket racing, he decided it was time for a makeover. We fitted this car with sub frame connectors, an 8 point roll bar, and topped it off with a complete body and paint job. 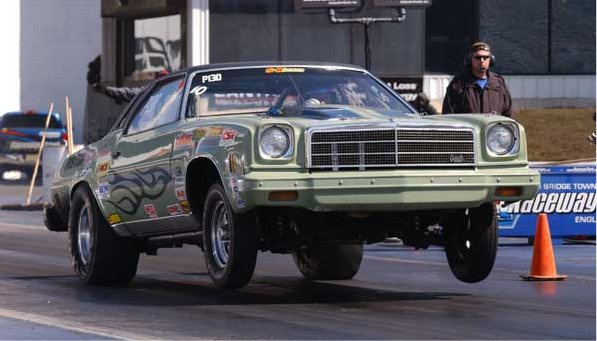 Jeff Pease's '74 Malibu - We upgraded the existing 6 point roll bar to a 10 point cage, and had it NHRA certified to 8.50. In addition, we also mounted and painted the fiberglass doors. For a big car, this thing moves! John Murphy Jr's '85 S10 - Originally owned by Gerry Grau, we painted this truck a few years ago, and it still looks good today. 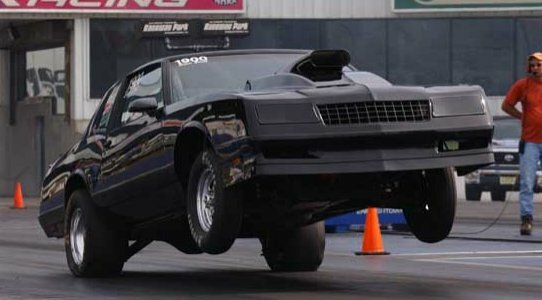 AJ Marasco's '79 Camaro - AJ brought his clean street car in for a rear shock cross member, drive shaft loop, and dzus fasteners on the hood. We also bent up/installed a complete chromoly 8 point roll bar. Watch for this car terrorizing a street near you! 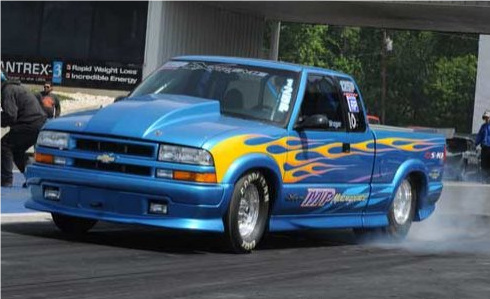 Mike "Pro Street" Pawlirzyn's '94 S10 - Although it is a '94, this S10 has been fitted with parts to convert it to a '98 eXtreme. 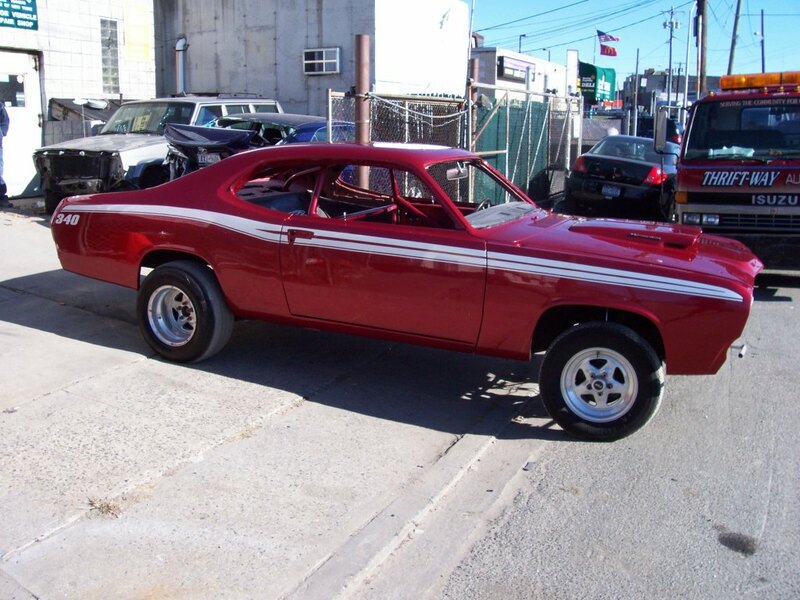 The chassis work was done here by Mike and John Sr, as well a painting the hood and the eXtreme body kit. 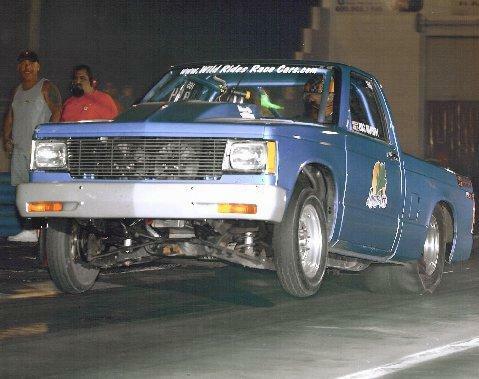 The rest of the truck was built by Mike entirely by himself in his home garage. 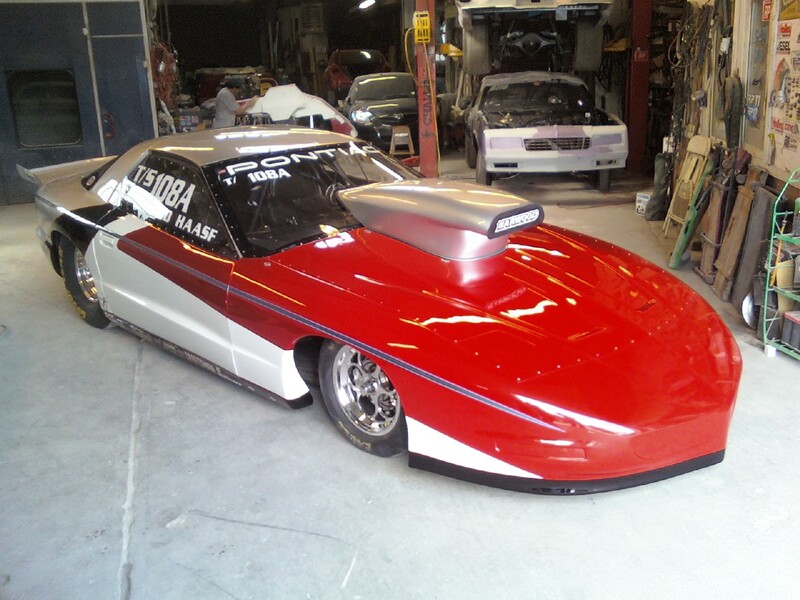 Here is a before and after shot of Ed Haase's '95 Firebird Top Sportsman car. 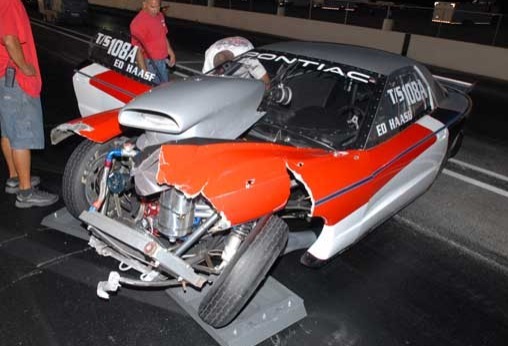 Back in August 2008, this car hit the wall at Atco Raceway. After the chassis work was done by Bernie Shacker, we were asked to final fit and paint the nose. We also added extra supports to prevent the nose from folding in at the top of the racetrack. We matched the graphics to the doors and redid the scoop as well. 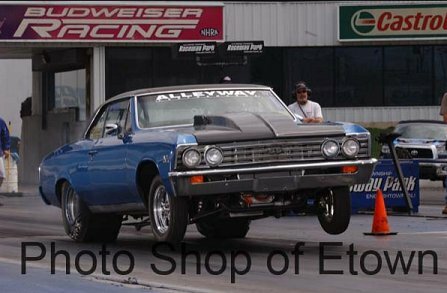 "Shakey" Tommy Ross' '67 Chevelle...We added some extra bars underneath the car to keep it from twisting, and apparently it works. We laid out the main inner rails for a 25.5 chassis and it should be returning this winter for the rest. Brandon Tyson's '74 Chevy Vega came in for some much needed upgrades. We replaced his old worn out multileaf springs with Calvert Split mono's, Cal Tracs, and Rancho shocks. We also lowered the ride height, installed custom j-bars, and mounted up a new hood. After our upgrades the car 60 foots better than it ever has. 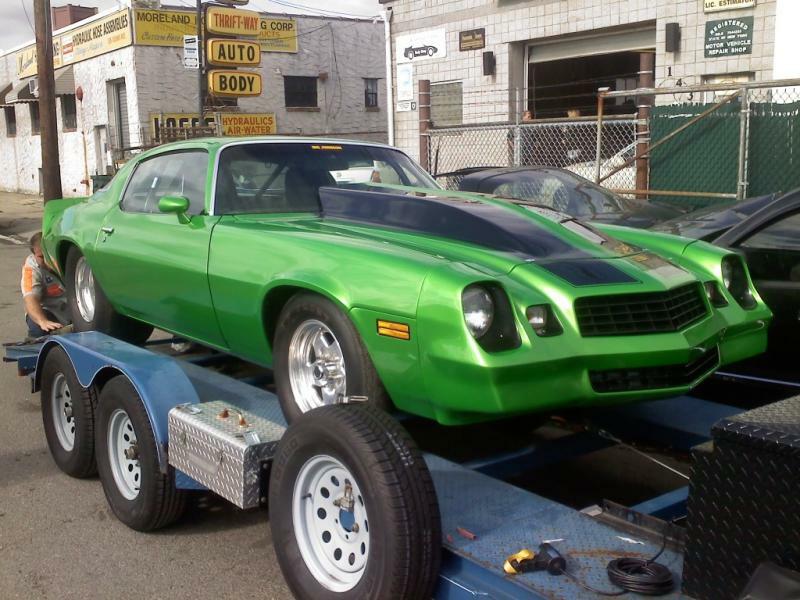 Dave "Stewie" Johnson brought us his '78 Camaro for a much needed body and paint overhall. After having us stretch the quarters and replace the rockers, Dave decided to have us shoot the car Syngery green with black stripes. He made an excellent choice, the color really sets this car off.